After months of waiting, the adidas Dragon Ball Z collection is finally ready for a release, and its opening saga – Goku vs. Frieza – is set to release on September 29th. We are back with another exclusive unboxing at Frieza’s YUNG 1, designed in white, purple, and pink with several key details that represent the character to the fullest. 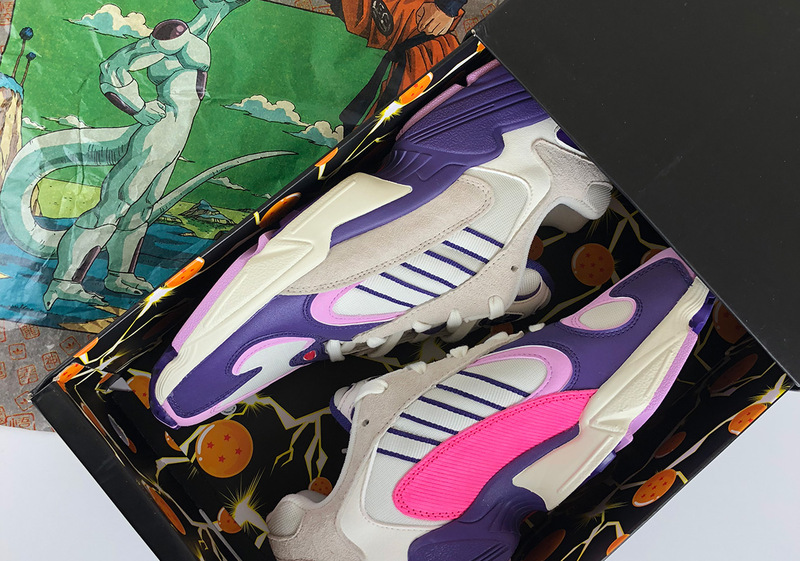 In addition to the incredible details that dress up this popular silhouette, the packaging comes rife with elements DBZ fans will appreciate, the likes of graphic-ridden tissue paper, an all-over Dragon Ball graphic lining the box’s inner walls, and images of Frieza on its outside. Enjoy another exclusive Sneaker News unboxing video below and be sure to subscribe to our YouTube channelfor more video content you cannot get anywhere else.